October 03, 2017 | Submitted by: CityScapes Inc.
Dumpster enclosures provide communities and businesses with a functional and aesthetic way to hide unsightly garbage containers from view. Many enclosures are often hastily built and prove to be an eyesore in themselves but this needn’t be the case. We look at 5 ways to improve the look and effectiveness of your dumpster enclosure. Dumpster enclosures work best when they blend into the background and don’t attract too much attention. Their function is to hide unsightly dumpsters and prevent pests from getting to the trash, and not really to act as a decorative feature in themselves. A great way to ensure the enclosure blends into the area is to match the panel color and material with those of buildings, structures, and natural scenery nearby. For example, a neighbourhood with light toned brickwork might benefit most from enclosure panels in an almond, sandstone or beechwood color. It’s easy to forget the smaller parts of a dumpster enclosure structure, including the posts, post caps, and top rails. There are also the gates to consider. All of these features, when tastefully contrasted, can add visual and textural appeal to the enclosure, even one designed to blend into the background. The gates can be a different color to the panelling, providing a clear point of entry for people. The other features can further complement or contrast with colors and tones in the surrounding area. The last thing any residential, commercial, or industrial property needs is a pest outbreak. Well-designed dumpster enclosures provide a deterrent to rodents and other vermin from getting to the trash and causing a potentially dangerous mess. This means the panels or walls need to be regulation height and as close to the ground as possible. The enclosure gates should close securely without sizeable gaps between panels and posts. As well as preventing unwanted pests, these considerations will ensure an attractive, non-obtrusive and functional area for waste disposal. By law there are certain rules and regulations concerning dumpsters and their enclosures. These rules cover issues such as the minimum fence height, ground surface, wall materials, and gate functions, including the permitting of easy servicing by trash collectors. There’s still room however for modifying the size of an enclosure to meet the needs of a small community or business. The size will depend on the number of dumpsters needed and conformity to the surrounding area. If nearby space is at a premium, the enclosure might need to be smaller while still adhering to the minimum permitted dimensions. People don’t want to walk too far to dispose of their trash. It’s also important service vehicles have unobstructed access to the dumpsters and that the enclosures are not too close to residential homes. This is why it’s vital to choose the position carefully and to consider all the variables. On top of all the regulations, there are also aesthetic considerations. Will an enclosure in a certain location prove to be an eyesore in itself? Thankfully there are a number of ways to improve the look of a dumpster enclosure even if it needs to be placed in a prominent position. 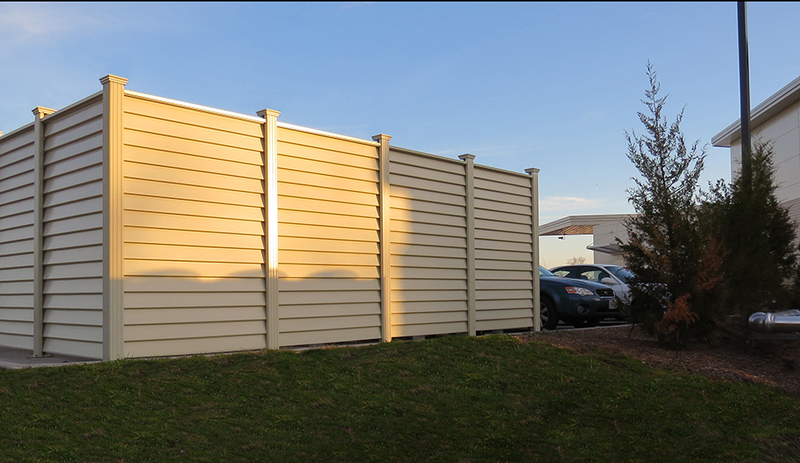 The panel and gate styles we provide at CityScapes allow for property owners and architects to improve the look and functionality of a dumpster enclosure to accurately match both legal and aesthetic requirements.